The Ma Poupee pyjama set is suitable for all the 27 cm Ma Poupee dolls. The set includes a pair of spotted cotton pyjamas (shirt is fastened with velcro) and a soft teddy bear for your doll to cuddle. The pyjama set comes presented in a lovely cardboard box, featuring the Ma Poupee motif! 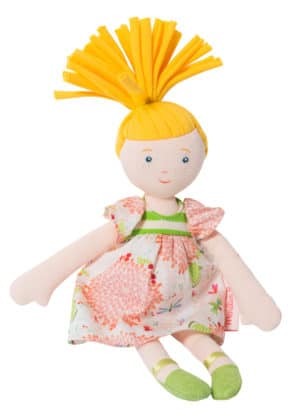 To view the full Ma Poupee range, click here. Care instructions: Hand wash (lukewarm).